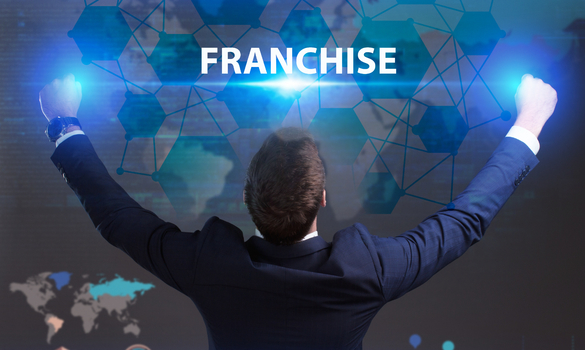 Franchises are great opportunity for entrepreneurs to start a business. In exchange for an annual fee, the entrepreneur gets a successful business model and nationally known brand. More and more, these franchises have expanded out of suburban areas and into small towns. Small towns are attractive because they have committed customer bases and little competition. As a would-be entrepreneur in a small town, the right franchise could jump-start your career. However, you need to pick your franchise carefully. The wrong choice will leave you with little or no market. Below are a few successful franchise ideas for small towns. If you have police or military experience, a security firm franchise could be a great choice. These franchises offer private security services for clients. Beyond security, your firm can offer services like background checks that other businesses need to handle their HR and recruiting needs. An example of an HR service that may be needed is health insurance for small businesses. Additionally, many small towns have limited police services due to budget cuts and low population density. Therefore, small towns have big markets for your private security franchises. A 24-hour restaurant will quickly find a ready-made market in a small town. In many small towns, most businesses still shut by 11 at night or earlier. Your 24-hour diner might have no competition every night after that time. It will not be difficult to promote your new business when you offer a new, nighttime service. A restaurant like this will also be very important in a small town. It could become a surrogate community center. This builds loyalty with customers and roots your restaurant in the community. If your small town is in a rural area, you could become a dealer of agricultural machinery. Farmers and ranchers need local dealers to provide them with the equipment. You can get exclusive rights to sell popular brands of equipment in your area by becoming their dealer. With little business competition, you can quickly build up a company. High demand will make it easy to get loans and buy an inventory that keeps profits high. An agricultural machinery dealership is a safe and profitable franchise that you can only open in small towns. You could join a pet grooming and boarding franchise. These services require special equipment which limits the competition in small towns. A franchise brand would also be helpful, since it gives you a national reputation. The pet industry continues to rapidly expand. In small towns, where people have more living space, the number of pets is often disproportionately high. Your franchise can ride this wave of popularity to profitability. If you are mechanically minded, a garage franchise would do well in a small town. Most people in small towns need cars to get around. This creates a steady base market that can be very lucrative. On top of this, as a franchise you can get a good chunk of out-of-towners as well. Tourists are more likely to pick a franchised garage over an independent one. They fear being taken advantage of, and your nation brand will convince them you are trustworthy. Sooner or later, everyone’s car needs to be repaired. You can make good money if you are in the right place to help them. These franchise types would work well in a small town. A private security firm would compensate for limited police services in small towns. If you want to open a restaurant, a 24-hour diner would give you and edge and build customer appreciation. An agricultural machinery dealership would turn a steady profit off farmers. You could exploit trends and a solid national brand to open a pet grooming and boarding franchise. A small-town garage franchise would net you profits with locals and tourists. Any of these franchises would let you profit while improving you small community.